A permaculture garden at its finest. In other words, permaculture is when humans live in harmony with nature, not in spite of it. Sound good? Good. Now back to the basics. Say ‘No’ to plastic bags – only shop with reusable bags. When desperate, take paper. This includes sandwich bags, which can easily be swapped out for reusable containers. Be conscious of the packaging – Are those coffee beans available in the bulk section? How about the nuts? Try to purchase as few things wrapped in plastic as possible. 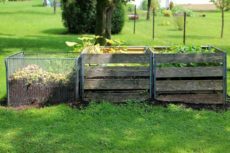 Start a compost bin – Did that celery go bad? Don’t throw it out! 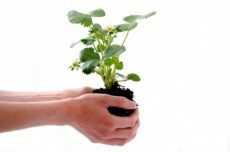 Place it in a compost bin and turn it into fertile soil to grow some new celery. Composting is the number one way to get you closer to permaculture living. Look for biodegradable materials around your house – Admit it, you throw out your toilet paper rolls. Or at best, you recycle them. Why not compost them? How about old tissues? Turn those sticky boogers into fruitful dirt. Most paper products are compostable and will not only reduce your waste, but also add value to your land and home. Chickens – Chickens are a natural pest control, eating up grubs and insects that would otherwise harm your crops. Plus their manure is pure gold for your soil. Goats – Have a weed problem? Goats love a good weed. They also love just about anything else, so set them loose on that pesky blackberry vine. Just don’t turn your back on them in your garden. Ducks – Bet you don’t know a duck’s favorite food. Hint: it leaves a trail of slime in its wake. That’s right, ducks love to eat slugs. If you have a slug problem, you likely don’t have enough ducks around. Horses – Horses produce a lot of manure. Just what the soil doctor ordered. Want fertile soil to grow your organic vegetable garden? Then get yourself a couple of manure producing horses and you’ll have enough vegetables to feed, well, a horse. Cats and dogs – That’s right. Even our favorite companions have a job to do. Both are great at keeping rodents at bay. Turkeys – These awkward birds are more than just good eating on Thanksgiving. Did you know they will show no mercy to an encroaching predator? These large birds have no problem making a fuss and showing the animal kingdom who’s boss. Llamas – More than just the camel’s fancier cousin, llamas make great guard animals to pretty much anything. A hungry cougar, an aggressive dog, the nosey neighbor boy, anything. 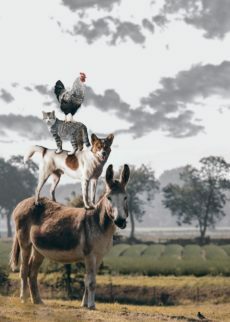 Remember, permaculture aims to work with nature, so it makes sense to include animals in the equation. Permaculture is a lifestyle change. Similar to a diet, if you start big, you’ll fail. Make small changes and work with what you have. For example, if your land came with a lot of trees, don’t cut them down to make room for your chicken coop. Let the chickens forage under the trees (they were naturally intended to be forest dwelling birds, after all). Think permaculture can’t thrive in the city? Think again. Urban permaculture can and does exist! From planting fruit trees in city parks to having community gardens open to all, there are several cities dedicated to bringing nature back. Check ‘em out here. Remember, permaculture doesn’t have to be complicated. Building a self-sustaining homestead to live off the land is actually in our DNA. Remember the settlers back in the day? Don’t let the convenience of modern day fool you. 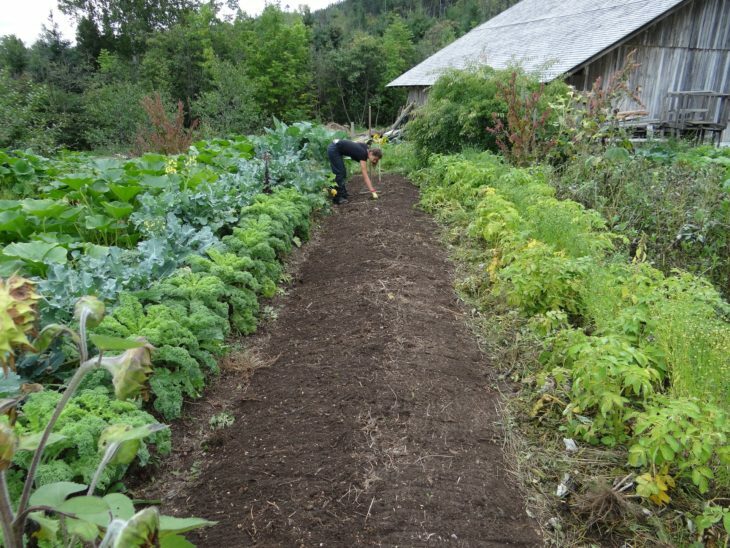 Humans are still a part of nature, and if you’re interested in going back to your roots, remember LandCentral’s Permaculture Basics: 3 Tips to Get You Started.